Every winter I face the same issues, my skin drys out, my lips get chapped and my hair frizzes and breaks. I'm sick of feeling embarrassed about these beauty troubles so I've taken matters into my own hands! I've teamed up with the beautiful Mae of Mae There Be Adventure and we've tried and tested a plethora of beauty products for skin, lips and hair, all in hopes that this year we won't fall victim to itchy, dry skin, scaly lips and split ends. I'm sharing our favorite skincare and lip treatments and you can find the best of the best in haircare products here. 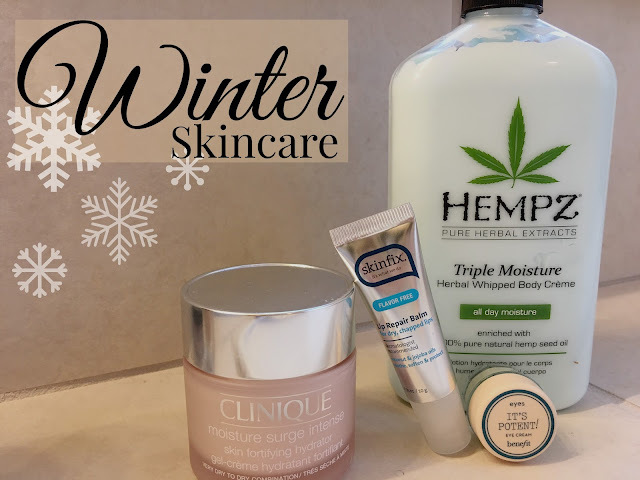 This is HANDS DOWN my #1 skincare recommendation for combating dry skin this winter. I have normal skin that, like most people, gets drier during cooler weather. 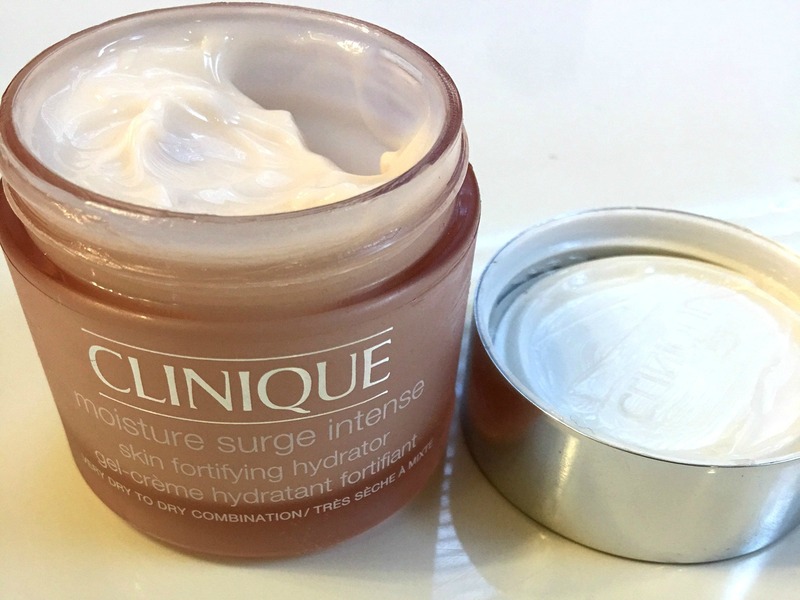 This lightweight, unscented, pudding-like hydrator has been the single best thing I've added to my beauty regime in the last couple months. When the soft, white cream goes on my skin it instantly feels like I've dipped my face into a refreshing pool. The best part is that the moisture lasts and lasts and lasts without ever making my skin oily. In the mornings, I use a little as my moisturizer and before bed I use a bit more as a refreshing night-time mask. To me, it feels like it opens the floodgates to each of my pores and just gives my skin the refreshment it needs during the winter. The only downside is that it doesn't have SPF, and no matter the season, I highly recommend protecting your skin from the sun's harmful rays. This is a part of my daily beauty skincare that I won't be ditching it anytime soon. If you only invest in one new beauty care item this winter I would make it this one. The first thing you'll notice about this moisturizing body creme is the intoxicating, fruity scent. It just begs for you to spread it all over any areas that have trouble when the weather gets dry. It calls for generous, daily use and, at least for me, it seems to trap and maintain moisture throughout the day. The scent is pleasant, but it does fade relatively quickly, which I prefer so it does not to compete with my perfume. Maybe it's the sleepless nights or just the fact that I'm getting older, but my eyes are becoming more and more of an issue. The dark bags are one of my biggest insecurities and I've been using Benefit Cosmetics It'S Potent! Eye Cream to help combat the dark circles and boost the moisture around my eyes. I apply it with a cotton swab so that I am sure I don't pull or stretch the extra-sensitive skin surrounding my eyes and I apply the lotion twice a day. It seems to add that extra brightness around my eyes. My recommendation is not to be stingy with this one. I didn't notice much of a difference when I applied small amounts. When I added more it started to make a noticeable difference. When I put this on my lips I feel it working instantly. There's a tingle that just lets me know it's sealing in moisture. 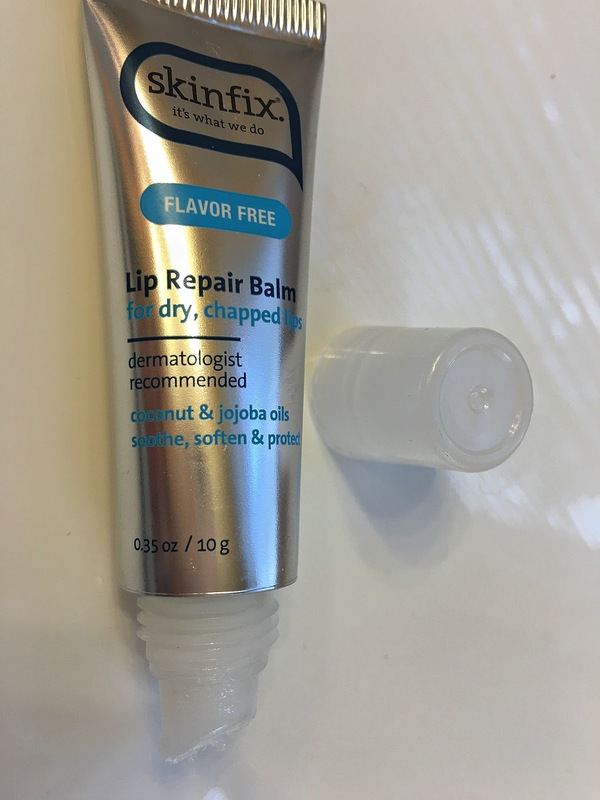 I like to put this on first and then top it off with Skinfix Lip Repair Balm (see below), especially before bed. After a couple nights of this routine, my lips feel oh so kissable. I also love that there are several options that have a bit of color so you can work on conditioning your lips and give them a little something extra! My worst struggle in the winter is trying to keep my lips kissably soft, or at least not chapped and flaking. I feel like I've tried almost every lip balm and chapstick around and they work for a minute but if I'm not consistently applying them I'm back to square one. I was pleasantly surprised when I picked up the Skinfix Lip Repair Balm. It's made with coconut and jojoba oils so it applies really easily and lasts for quite awhile. It won't instantly get rid of dry skin, you need some type of exfoliator for that, but it does seem to protect lips and keep them soft and refreshed. It's tasteless and unscented so it's an easy addition to your beauty routine (plus it's less than $5)! One of the most tried and true ways to help your skin has been around throughout the ages. By increasing your water intake, you help hydrate your skin, nourish your body and flush out unwanted toxins. 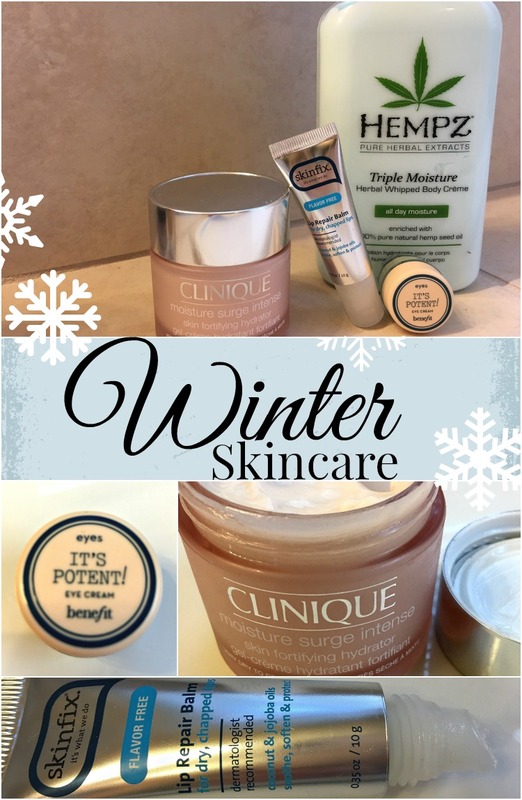 It's a simple, affordable way to help your skin combat the elements this winter. You can always filter tap water or there are many awesome bottled water varieties like smartwater or, my personal favorite, Propel Zero Calorie Nutrient Enhanced Water . What's in your arsenal to help you combat winter weather?